Patricia A. 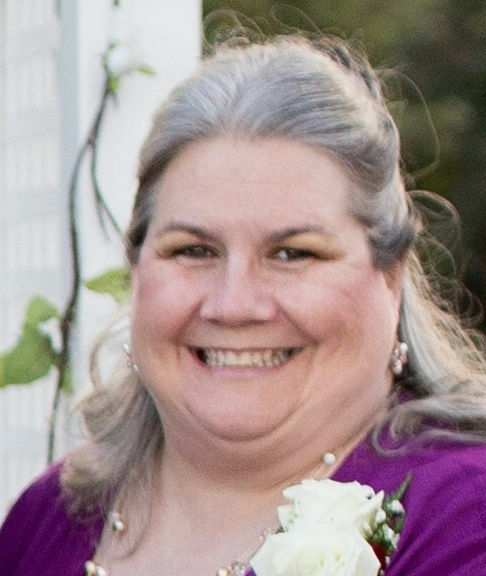 “Patty” Marks, nee Shaffer, age 52, of O’Fallon, IL, born on December 1, 1965 in East St. Louis, IL, died on Tuesday, October 30, 2018 at her residence. Patty was a Process Improvement Manager at Valley Industries Sheltered Workshop, Hazelwood, MO for the last 8 years. She previously worked at Ponderosa Restaurants in Fairview Heights, Belleville and Litchfield, IL. Patty was an incredible woman and will truly be missed. She had an amazing sense of humor, an infectious laugh, and a personality that people were drawn to. Patty was a wonderful mother and beautiful wife. Thank you Patty, mom for all of your sacrifices and all of the love you showered on us each and every day. You will remain forever in our hearts. She was preceded in death by her mother, Lill Shaffer. Patty is survived by her husband, Tony Marks; her sons, AJ (Alecia) Marks of Swansea, IL and Greg Marks of Edwardsville, IL; her father, John Shaffer of Fairview Heights, IL; her sister, Linda Shaffer of Fairview Heights, IL; her sisters-in-law, Barbara Marks, Marissa, IL, Terry Marks, Fairview Heights, IL and Jeanne McLain, Fairview Heights, IL; her brother-in-law, Bert Marks, Grand Junction, CO; and her niece and nephew, Jennifer Nichols and Joseph “Joe Joe” McLain. Patty is also survived by many loving aunts, uncles and cousins. Memorials may be made to: Shriners Hospitals for children and Highland Animal shelter. Memorial Visitation will be held on Saturday, November 3, 2018 from 1:00 p.m. to 4:00 p.m. at Kassly Mortuary, Ltd., Fairview Heights, IL. Memorial service will be held on Saturday, November 3, 2018 at 4:00 p.m. at Kassly Mortuary, Ltd., Fairview Heights, IL with Pastor Chris Hill officiating.